It’s night market time again! 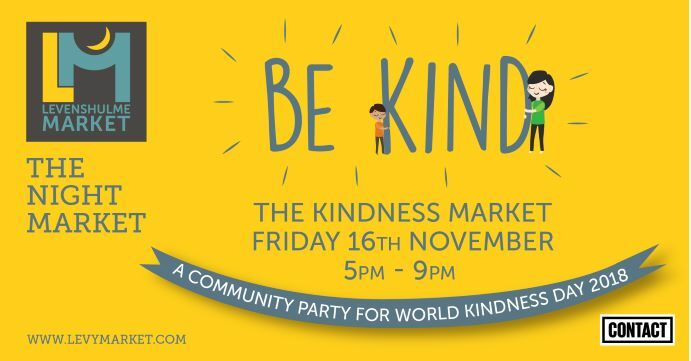 Join us for our Kindness Night Market on Friday 16th November 2018, 5-9pm, on the Levenshulme train station car park, M19 3AB. In honour of World Kindness Day (13th November), we’re throwing a big, kind, foodie community party! Our November night market is all about the tiny but important ways to be kind, to help other people and to come together to make our community a fantastic place to live. Kindness takes many forms, from keeping our area clean to helping those in need. We’re teaming up with a number of fantastic partners for this one, including Real Junk Food Manchester and Contact Theatre, who’ll be be running a free kids workshop from 5-9pm. Expect puppets, craft and lots of fun! The workshop is based on themes of inclusion, kindness and acceptance, which you’ll also find in their fab new family show written by Jackie Hagan and coming to the theatre in December – The Forest of Forgotten Discos! We’ll also be joined by local community groups such as Levenshulme Inspire and Friends of the Fallowfield Loop. And if you have spare items (list of what’s needed coming soon) that could help a homeless person this winter, please bring them along to our drop-off point at the market. Exciting news! 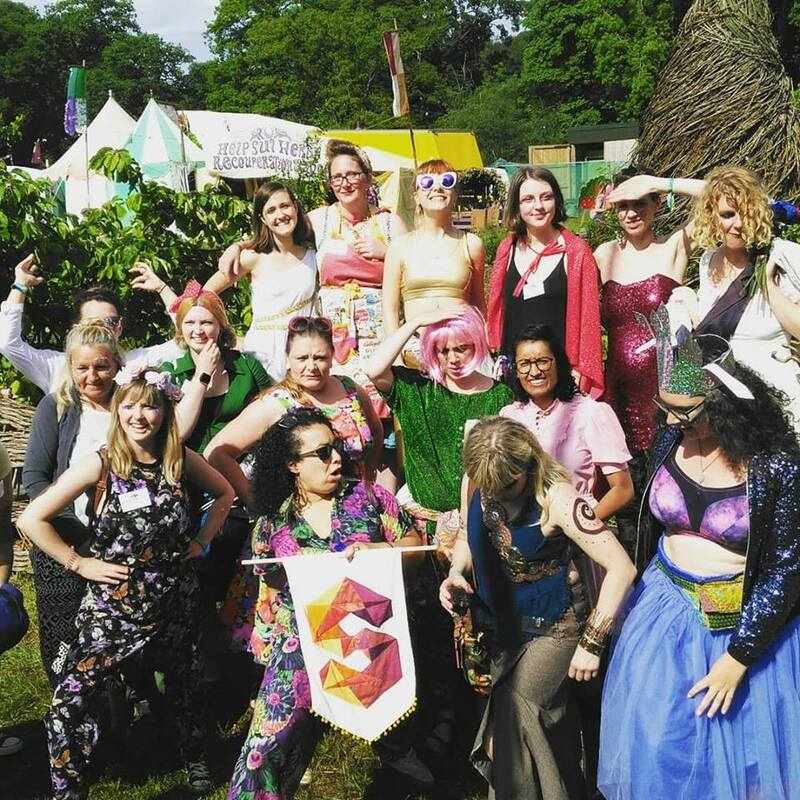 We’ll have live music from the heroic SHE Choir at 7pm, a vibrant free women’s choir based in Manchester. They make beautiful sounds, and they’re also on the lookout for new members! Come along for a listen on Friday and then head to their website to find out more about bobbing along to a rehearsal. As always, we’ll have some of the most delicious street food in Manchester, live music and gorgeous handmade gifts, goodies and bits to browse and buy. Keep a close eye on our social (find us on Facebook, Instagram and Twitter) as we’ll be sharing lots of little ways to be kind!